You will be able to drown your Sims in the pools you create for them. Note that this adds another method of virtual murder (or death, depending on how you look at it) to the ten that The Sims 4 started out with. 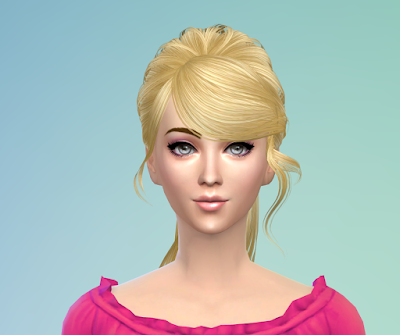 "Death by drowning" means that if a Sim dies because he or she drowned in a pool, they may come back as a new type of ghost with a special taste for water. 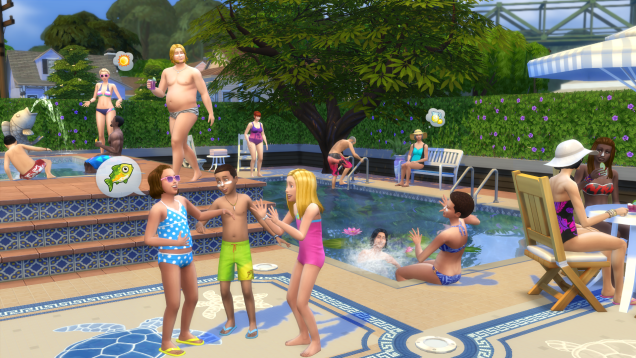 Sims will also be able to sit on the side of a pool—something they weren't able to do in previous games in the series. Swimming pools aren't just a subterranean fixture anymore. EA says that players will now be able to build pools on any floor of a house or public building they're creating or modifying. That means you can create "a multi-pool mansion with pools on every floor" if you feel like it. You can also "place windows on the walls of pools to create an infinity-pool aquatic escape for your Sims," EA wrote in today's announcement. "And we've also added the ability to adjust the depth of your pools by adjusting wall heights." As with other parts of the new and improved build mode, you have more flexibility in terms of creating different angles and curves on the edges of your architectural creations. That means "diagonal pools" alongside the snazzy new rooftop ones.